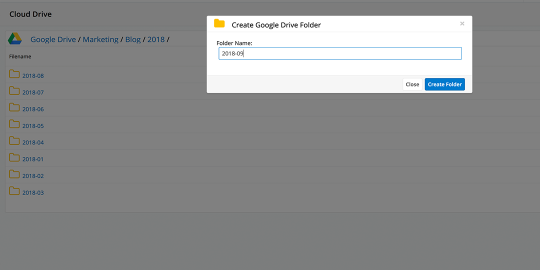 Download and upload files to and from your local drive to Google Drive, Dropbox, or OneDrive. Your documents stay synced in real time. 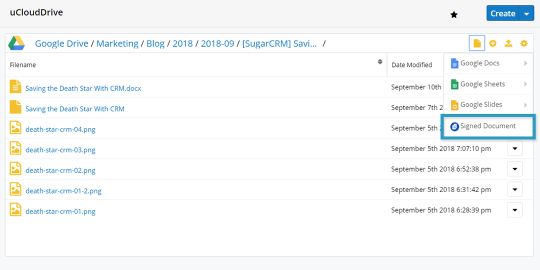 Use a one-click button in Sugar to create a document from a template in Google Drive, Dropbox, or OneDrive. 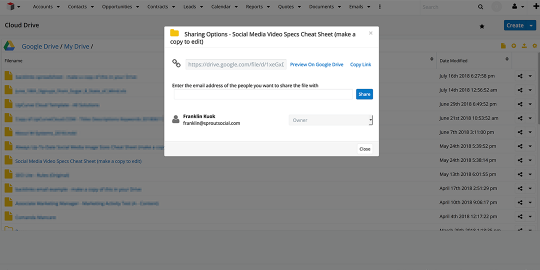 Use shareable links to send documents to co-workers, customers, partners, and more. 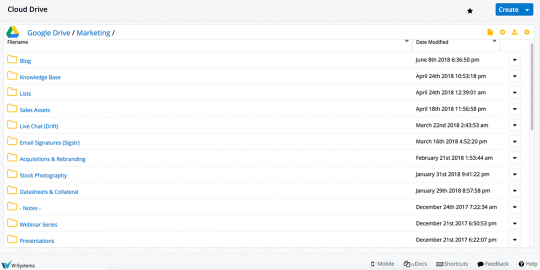 wDrive enables you to create and define your file and folders structure. You also have the option to set a default file path for your documents. 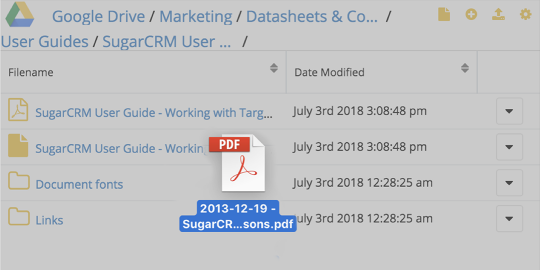 Use drag and drop to easily and quickly upload files to your document storage solution in Sugar. 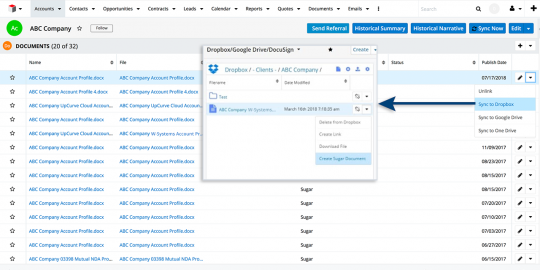 wDrive can work together with wDocs, our Document Automation solution for Sugar, and directly stores any merged documents in your cloud storage platform of choice. Send documents stored in your cloud storage platform of choice to DocuSign, and then forward them for review and signage via email. 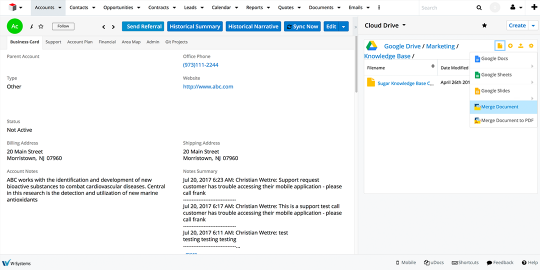 This functionality is also available for documents generated with wDocs.